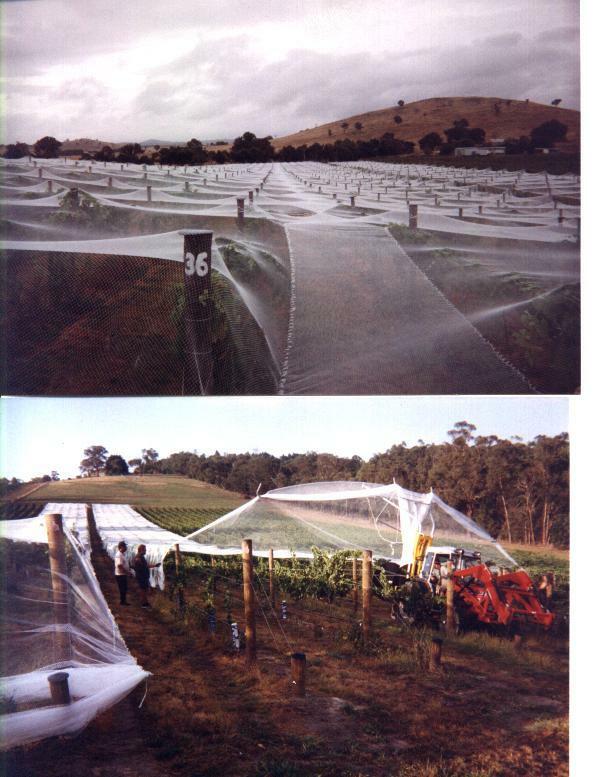 Net-Master Putting out 22 meter wide nets.The cords manufactured into the nets are cross tensioned to create a positive seal and anchor. 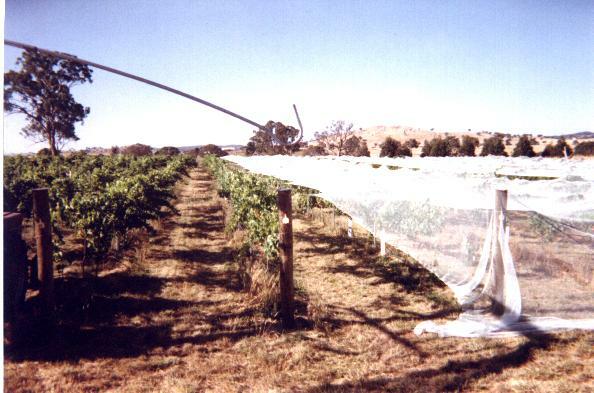 Wide nets flowing out from Net-Master, note how the net is automaticly spreading out. 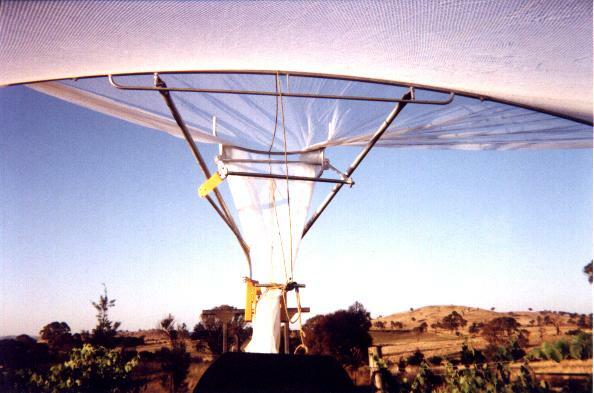 Rigging is adjustable to 8 meters wide. 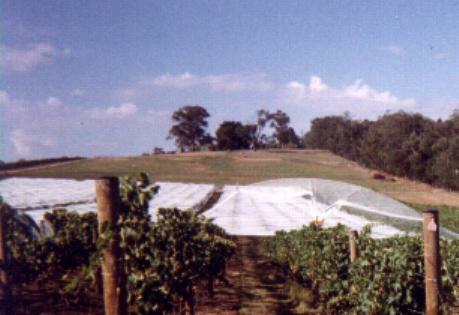 Total Lock out Net System on a Vineyard at Murrumbateman N.S.W.